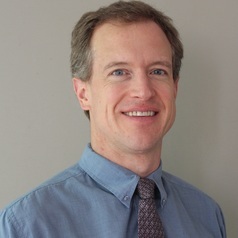 Garth Frazer is an Associate Professor of Business Economics and Public Policy at the University of Toronto (Department of Management, UTSC; Rotman School of Management; Munk School of Global Affairs and Public Policy), and an Affiliate of the International Growth Centre (IGC). His research is focused on trade and industrial development, particularly in Africa. He has explored the impact of trade agreements and trade preferences on African trade, and provided advice to the Ugandan and Rwandan governments regarding their trade policy He has lived and/or conducted field research in Kenya, Ghana, India, Rwanda, Uganda, and Zambia and is also Associate Editor of the Journal of African Economies. He has contributed to methodological advancements in the measurement of productivity. Professor Frazer received his B.Math from the University of Waterloo, his M.A. from the University of Toronto, and his Ph.D. from Yale University.